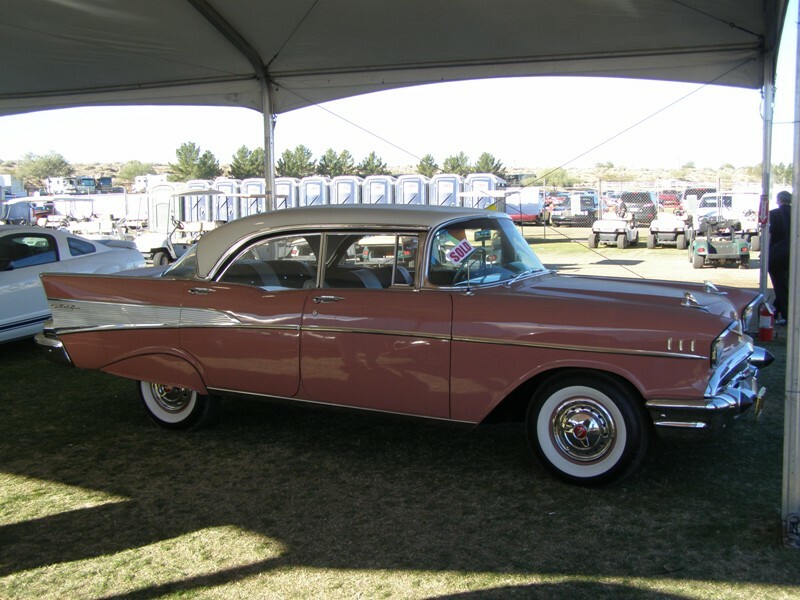 The VanDerBrink Auction of the Lambrecht Collection of classic Chevroletâ€™s is now over and the buying fever has subsided.Â The crowds have departed Pierce, Nebraska and we can now look more analytically at the cars and prices paid. 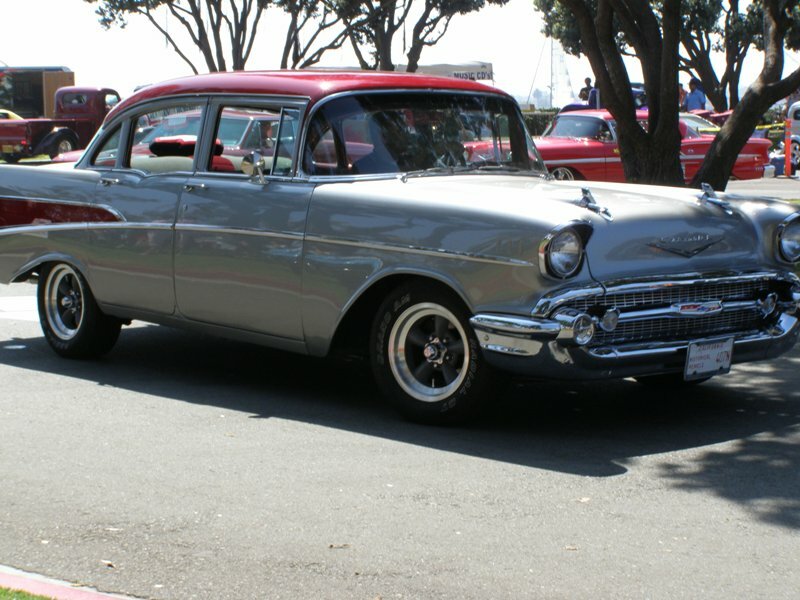 Letâ€™s look at the 1957 Chevroletâ€™s sold at this auction.Â The 1957 was the last of the three years of the oft referred â€œtri-fiveâ€ series from 1955-1957. 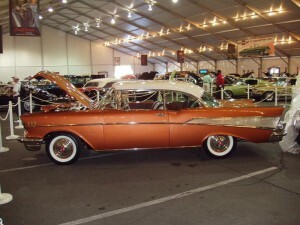 There were five autos sold during the first day of the auction in this model year.Â The cars come in three variations, the bare bones 150, a slightly sexier 210 and the fully blinged Bel Air.Â The VINâ€™s shown by VanDerBrink helped decipher which model was which.Â All five cars from Saturday are in rough condition and will need some extensive body and mechanical work, or kept in a survivor look.Â The photos in this blog are obviously NOT the cars sold at auction but representative of restored 1957 models. The high dollar seller for the 1957â€™s was a four door sedan 210 that sold for $37,500 and had 47,000 miles. 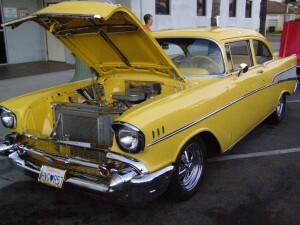 Next up was a four door sedan with the more popular Bel Air trim selling for $23,000 with an unknown odometer reading. 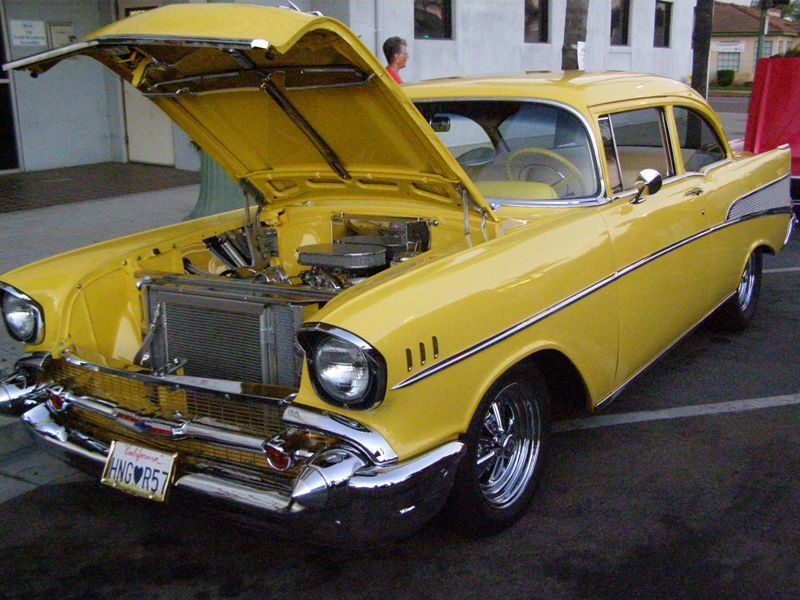 More realistically priced was another 4 door sedan Bel Air with 43,000 miles selling for $12,000. 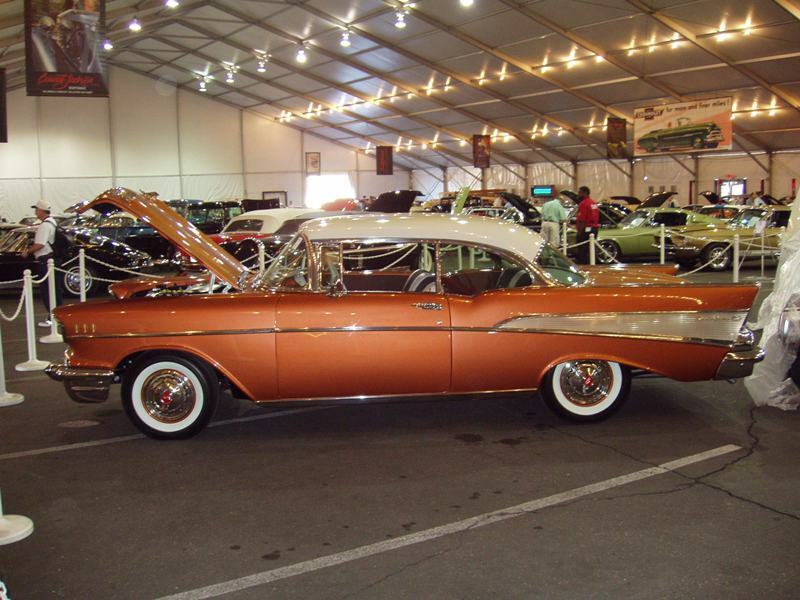 A 150 2 door sedan with 57,000 miles went for $9,750 and bringing up the rear was a 4 door sedan 210 model with 60,000 miles selling for $7,000. On Sunday six more 4 door sedans sold with an average price of $6200.Â None of these rougher vehicles cracked above $9,500.Â It was interesting that one unit with no VIN tag went for $7,500.Â Perhaps this suggests the buyer was more interested in the pieces than the whole car?Â Also a 4 door hard top (sports coupe) went for $9,000. 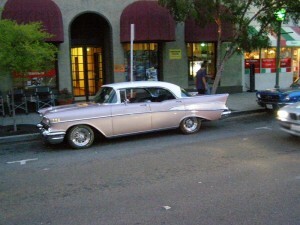 All prices will have a buyerâ€™s premium of 5-8% added to the listed price based on whether the bidder was on site or not. Good deals?Â Probably not, although obviously at least two bidders wanted each of these cars.Â Youâ€™ll first note that these five cars had some miles showing.Â These were NOT the pristine cars offering MSOâ€™s (Manufacturerâ€™s Statement of Origin) and never registered with barely any miles registering on the odometer.Â These likely were trade inâ€™s that wouldnâ€™t or couldnâ€™t leave the used car lot.Â Perhaps thatâ€™s how they ended up in the inventory in the first place? 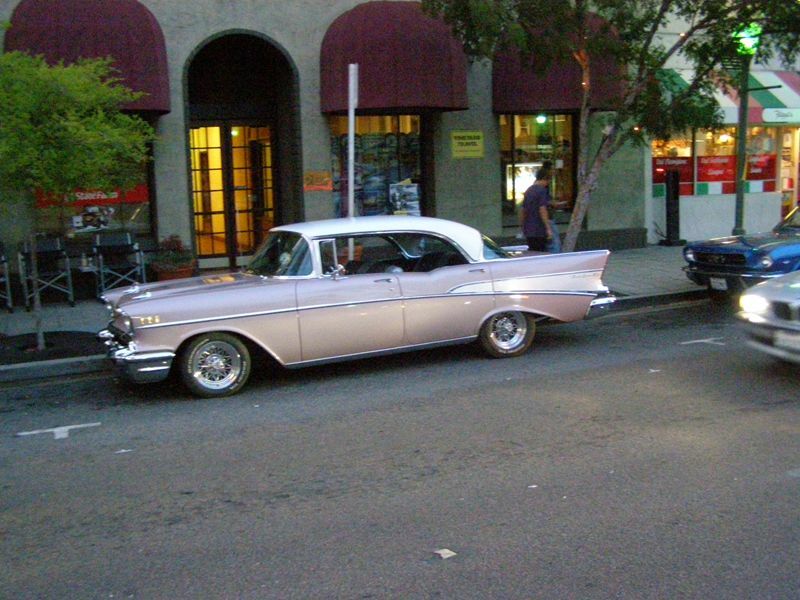 Eleven of the twelve were four doors.Â While perhaps more practical if you are planning on using the rear seat often, the reality is the 2 doors are more in demand and generally higher priced when restored.Â In fact our friends at Real Deal Steel only offer the 2 door versions in new trick American manufactured tri-five cars, because the four doors are just not as much in demand.Â Plus most collectors like the look and relative rarity of the Bel Air models, and bid up for that look.Â Finally sedans with the center post is just not as stylish as the sports coupeâ€™s.Â Remember demand drives prices.